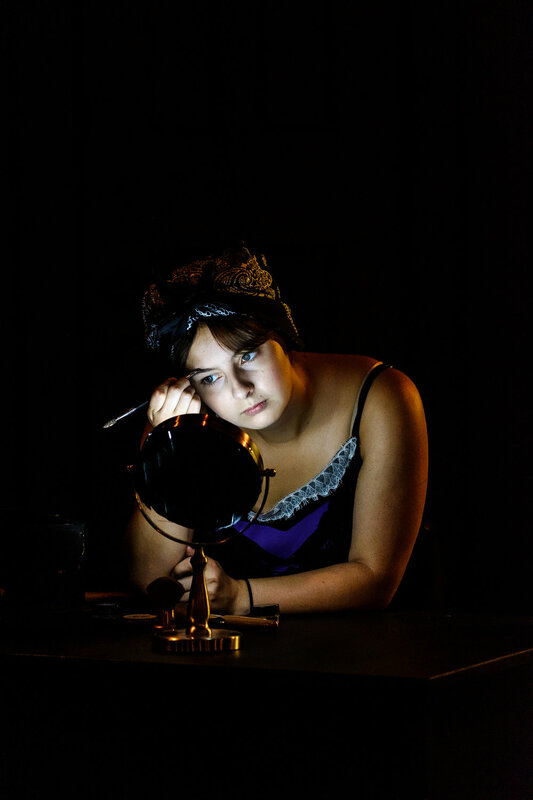 The 5th term students from Randolph College and I took on the challenge of staging Howard Barker's dark and enigmatic play at the 2018 Fringe Festival. Taking place over 18 disconnected scenes, Wounds to the Faceexplores notions of identity, power, and autonomy. Set during an unspecified revolution, Barker's characters struggle to set the terms by which they live by, in defiance of God, expectation, and common opinion. They give voice to their thoughts and feelings with exquisite, muscular and precise language, a Barker signature.